Iron Dog is a young software developer, and though they are new on the market they are quite aware of what players desire. Blood Queen is an intriguing game teeming with profitable and innovative features, done in outstanding visuals with intricate designs and a bone-chilling musical score. This sinister-looking slot will allow you to take advantage of Wild Substitutions and two different Free Spins Features where Expanding Wilds shift and stick on the reels to provide you with chances of spectacular wins. The 5-reel, 3-row layout offers 30 set paylines to place your bets on. Just enter the Betting Panel to adjust the size of your wager as low as $0.30 and as high as $60.00. 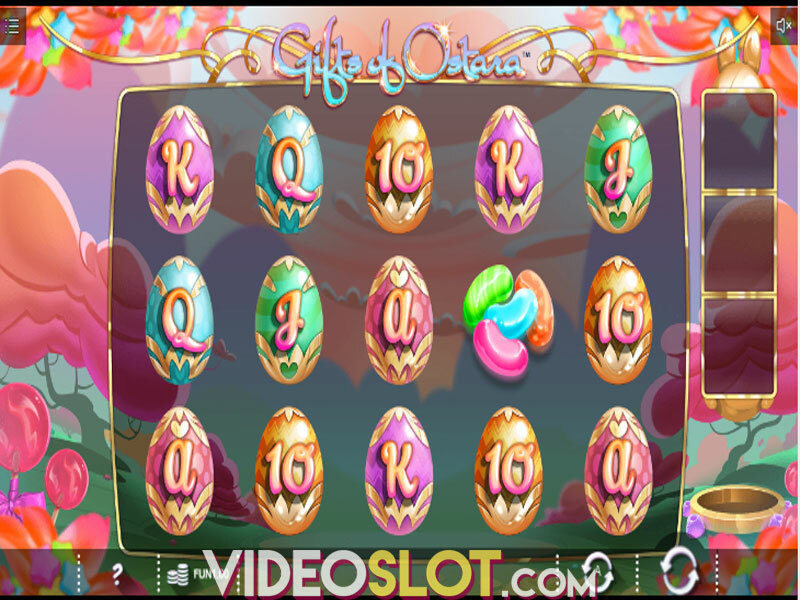 To start the game, press Spin or activate the Autoplay feature with up to 99 automatic spins. In order to receive payouts, you must align symbols on adjacent reels, on a winline, starting from the leftmost position. The main protagonist of the game, Blood Queen herself stands at the top of the Paytable, as the most lucrative symbol, providing a prize of 1000 coins when 5 appear on a winline. Her enemy, Van Hell will deliver 800 coins if 5 matching icons land on a payline. Other high-value icons include Rubies and a Bat Vampire that pay out 600 and 400 coins respectively for 5 of a kind. A pair of stakes will award you with 200 coins when 5 land on a payline. Low-win icons are represented with playing card symbols Jack through Ace, designed to suit the theme of the game, offering payouts from 40 to 100 coins if 5 are aligned on a winline. Wild is depicted with a Gargoyle, appearing in the base game, always landing on top positions of reels, so that it could expand vertically on the entire reel and boost your chances of bigger wins. Wild completes and replaces all symbols except Scatter. The Free Spins symbol can appear on any reel, and when you see at least 3 of them, the Free Spins bonus is triggered. Choosing the Van Hell or the Blood Queen feature will determine what type of Wild will be displayed during the Bonus. The number of Free Spins awarded will depend on the number of triggering Scatters. 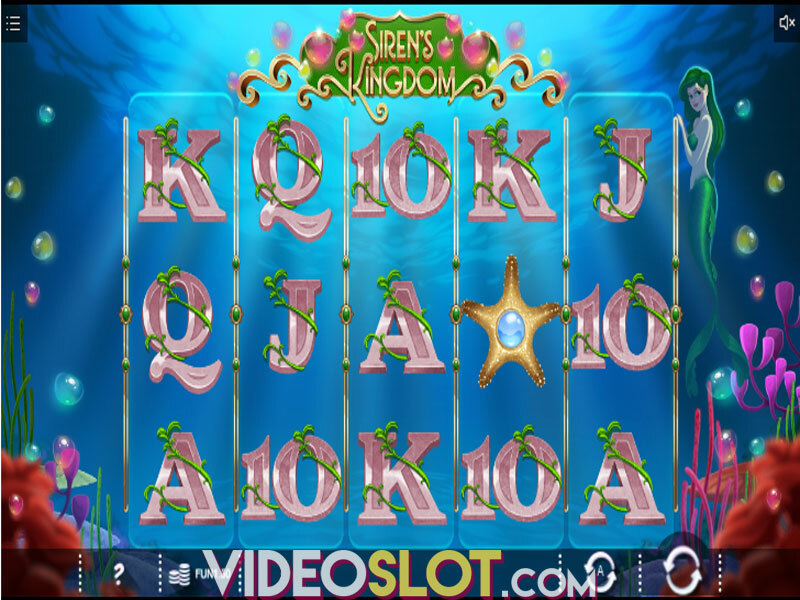 3, 4 or 5 Scatters will grant you 20, 30 and 50 free spins. Before the Seduction Battle starts, you will be offered to choose between the Blood Queen and Van Hell Free Spins. In the Queen’s mode the Blood Potion Wild symbol appears on top of reels 2, 3 and 4, expands to cover them entirely and shifts to the left with each spin, until it disappears when it reaches the 1st reel. If you activate Van Hell’s feature, the Holly Water icon will land on reels 2, 3 and 4 and become an expanding, sticky Wild. This symbol will spread to cover 4 positions on the grid, helping you score mega wins. 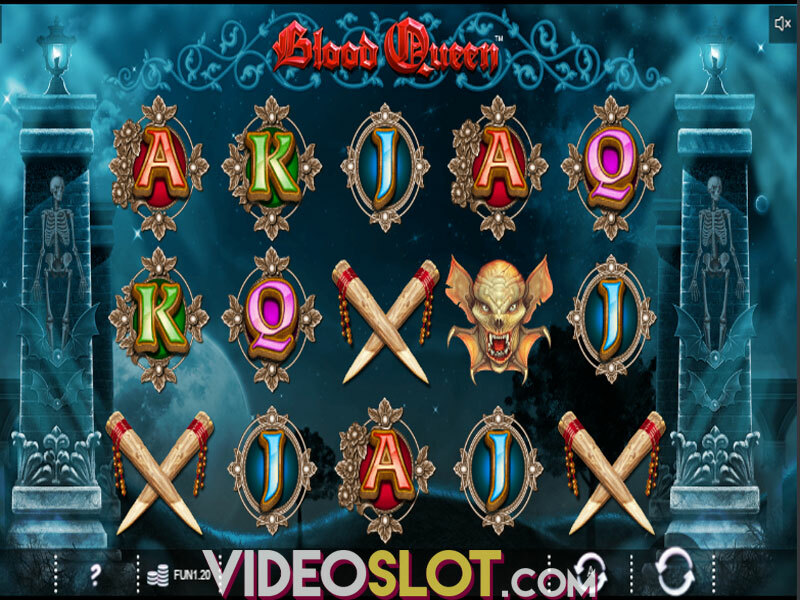 Blood Queen is a high-quality game with gripping content that will certainly keep you involved and eager to try and trigger the bonuses which hide massive payouts, backed up by a RTP of 96.06%. If eerie and occult are your kind of fun, try this slot out anytime you like, as it can be played across all platforms, on mobile, tablet and desktop. Where to Play Blood Queen?